If you really like laid-back party games like Pictionary and Cranium because the rules are simple and not very important, because the important thing is you are just hanging out with your friends having a chill time, then you would probably hate Agricola. 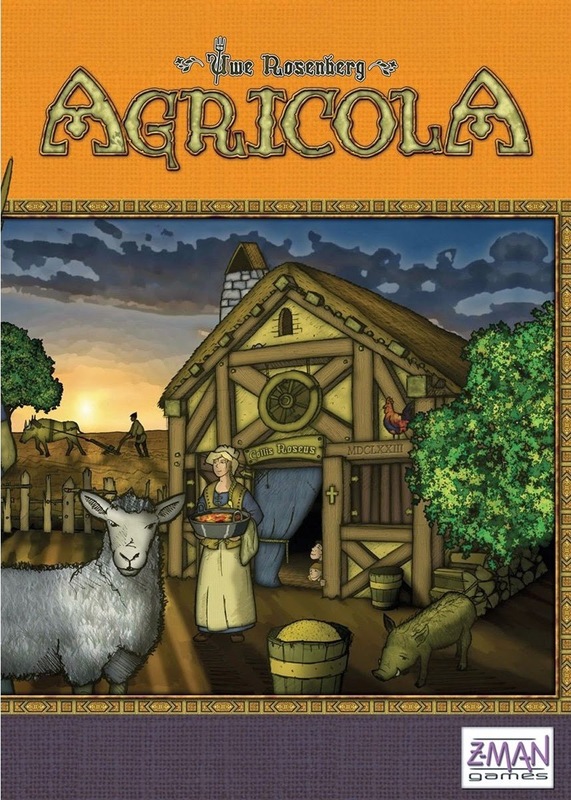 Pronounced ugh – GRICK – kuh – luh (it’s Latin for “Farmer,” yo), Agricola is a “European-style board game,” so very European-style in fact that it won Germany’s “Spiele Preis” in 2008. It also won the game-of-the-year prizes in other European countries, such as France, Austria, Spain, Portugal, the Netherlands, Poland, and the Czech Republic, but everybody knows that the Deutscher Spiele Preis is the big noise, European-style. What’s a “European-style board game”? Well, in general they are characterized by relatively demanding rules, strategic thinking, an extended gameplay experience, and a zillion little parts. To their fans, they are immersive challenges of logic and strategy that are endlessly satisfying to reason through in the company of one’s pals. To their detractors, they reproduce the worst features of a stultifying desk job, offering hours of meaningless busywork that is the very opposite of fun. They are seen as refreshingly intellectual, or insufferably pretentious. Obviously, I like them. In Agricola, you pretend to live the jolly, carefree life of a rural freeholder in the 1670s. You start with two family members living in a nasty wooden thatched-roof hut, an open fire, and some fallow land. Over the course of 14 turns you try to become a large family in a sturdy stone thatched-roof cottage, enjoying a varied diet of well-cooked foods, and prospering on the produce of your fields, pastures, and side gigs. There’s a fairly baroque point formula to determine who wins – it rewards well-rounded farming over specialization – but in our first few outings (we’ve played three times) I have been much more interested in gearing up for survival than in victory points. There are a modest handful of things you can ~do~ in Agricola, when it’s your turn. 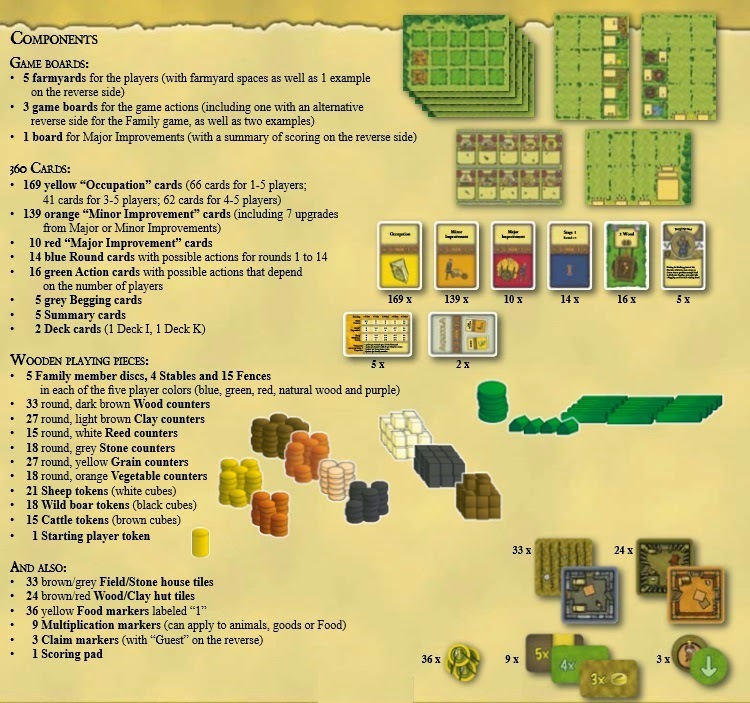 You can gather resources, build and renovate your hut, plow and sow your fields, fence your fields, have babies, take up a part-time job, implement a modest “improvement” technology, or wrest away the right to go first during the next turn. Wresting away the right to go first during the next turn (technically, this being a European-style board game, during phase three of the next round) is important, because all of the available actions are exclusive: once somebody has used an action during a turn, nobody else can use it. If you decide to make babies (this happens offstage), you will be able to take more actions during subsequent turns. But, you will also have more mouths to feed. 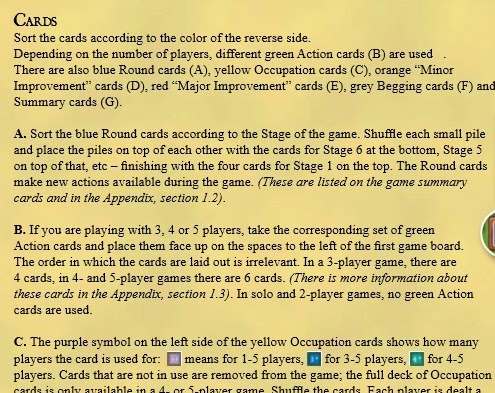 It’s a tradeoff – one of many, many tradeoffs you have to make if you play this game. Agricola is a real festival of opportunity cost: If you are cutting timber then you aren’t harvesting clay. If you are sowing your field then you aren’t building fences. If you want your dream job now, you’re going to have to put off having children, much as in real life. If you take a defensive action just to keep your friend from getting too far ahead of you, it means you aren’t doing what you really wanted to do for yourself, much as in real life. There are lots of things you’ll want to do with your little farm, but you’ll only be able to do a few of them. Much as in real life. The first time we played, I believe we spent at least an hour setting up (having previously studied the rules for an hour or two) before we actually began the “game” per se. Most recently, I spent 15 or 20 minutes setting up before my victims, uh, guests arrived. You need a fairly big table. Spatially, it’s a little like playing Monopoly if all the players had their own Monopoly board, plus there was another monopoly board in the middle of the table, plus there were three different banks. In short, I love it. But it’s not for everyone. Let me know if you want to throw down. I liked it more than I thought I would.